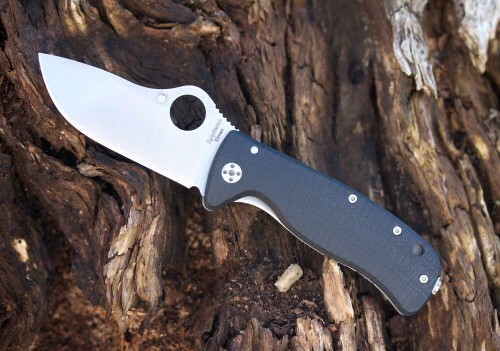 The Lil’ LionSpy is another collaboration between Spyderco and LionSteel of Italy. This knife features a two-piece handle construction that consists of one black G10 scale and one titanium scale, both 3D machined with a ridge-like pattern. The blade is a sturdy 4.5mm thick and features a high flat grind and a pronounced belly for superior edge geometry and cutting performance. You will be very pleased with this knife, measures a hair over 7-1/8″ overall when open. Get one before they’re gone at www.knifecenter.com.